India on Thursday reiterated concern over contamination of the Siang River in Arunachal Pradesh ascertaining certain facts on the issue. 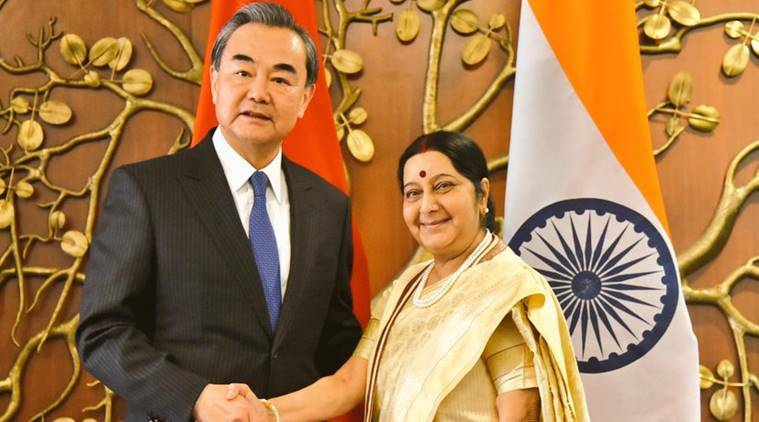 The matter figured during the meeting between External Affairs Minister Sushma Swaraj and her Chinese counterpart Wang Yi in New Delhi on Thursday. External Affairs Ministry spokesperson Raveesh Kumar also said the ministry was coordinating with the Water Resources Ministry while referring to existing mechanisms between India and China to deal with issues pertaining to waters. “Naturally, it is a matter of concern to us. We are coordinating with Water Resources Ministry. We have ascertained certain facts,” Kumar said. He was asked about the Siang river water ‘unfit’ for human consumption, amid speculation that the water was contaminated due to China. The Siang river, which flows as Yarlung Tsangpo from southern Tibet, becomes the Brahmaputra river in Assam. Last week, Arunachal Pradesh Chief Minister Pema Khandu had expressed concern over the high content of Nephelometric Turbidity Unit (NTU) in the Siang in the State and said his Government was in constant touch with the Centre so that New Delhi could take up the issue with China. Kumar also said the issue had come up during the meeting between Swaraj and Wang. The Ministry also issued a statement regarding the issues discussed in the meeting that included the Doklam episode. Both the External Affairs Minister and the Chinese foreign minister noted the challenge Doklam had posed to the relationship and expressed satisfaction that it was resolved with the disengagement of troops at the face-off site through concerted diplomatic communications, the MEA statement said. Chinese and Indian troops were locked in a 73-day border standoff from June 16 when Indian soldiers stopped Chinese personnel from building a key road close to India’s ‘chicken’s neck’ corridor. On August 28, India announced the ‘disengagement’ between the soldiers of the two countries. The road was being built by China in an area also claimed by Bhutan.